Krissys Creations: Happy Birthday Allan!! I double dipped and Al's card was made following one of the challenges at the cybercrop at ALLCRAFTZ right now.....be sure and pop in and check it all out!! 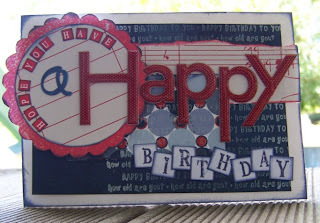 Happy Birthday Allan, hope it was a terrific day... Krissy that is a fab card! Awww, poor grumpy Allan! Hope he let you spoil him and enjoyed his birthday a little! Look what Ive been doing! Im in flower lovers heaven!! Allcraftz sale!! !Be quick dont miss out! !